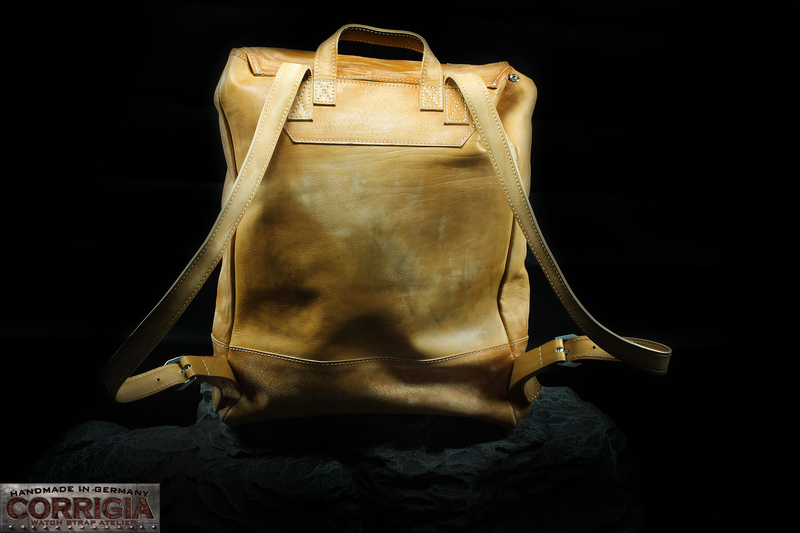 Product information "C02 – Cartella Militare - Rucksack / Backpack"
Handmade Leather Backpack with sewn in Knife Edge Buckles. 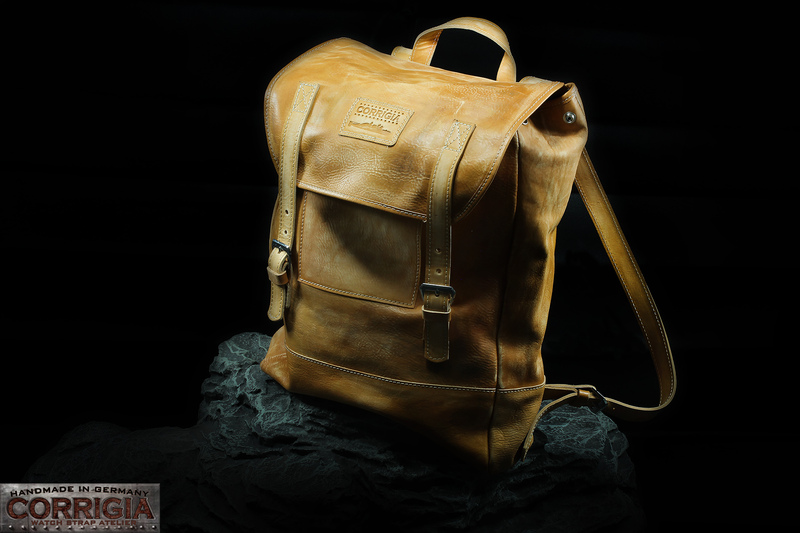 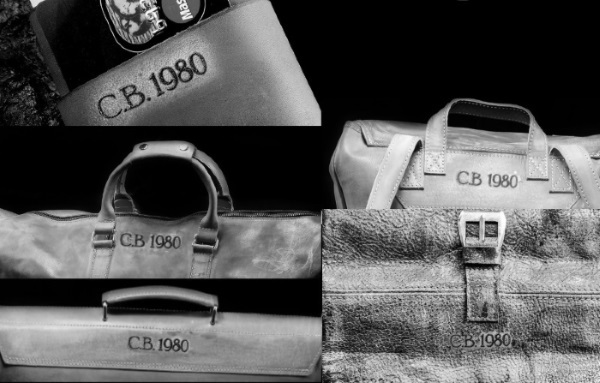 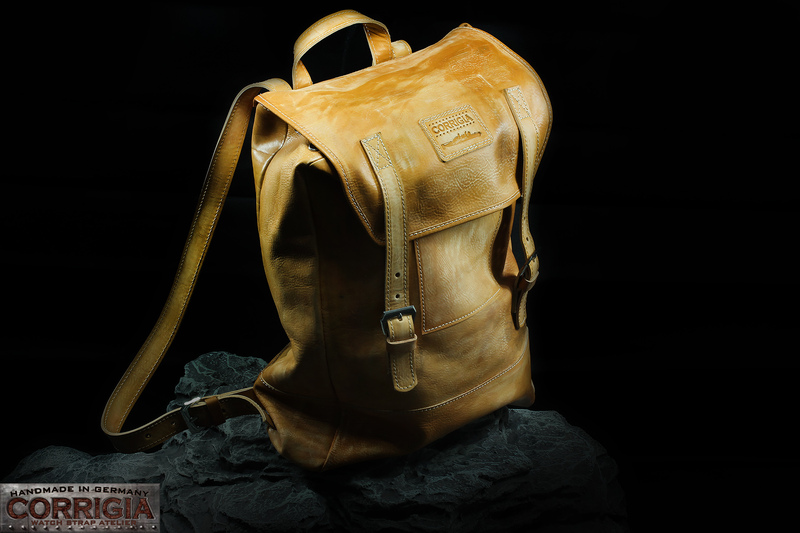 This leather bag is handcrafted made with passion in our manufactory in Karlsruhe, Germany.It is manufactured for eternity by merging best materials and with special attention to aesthetics.Exclusively urban Design, timelessly elegant and usable in all kind of daily life. 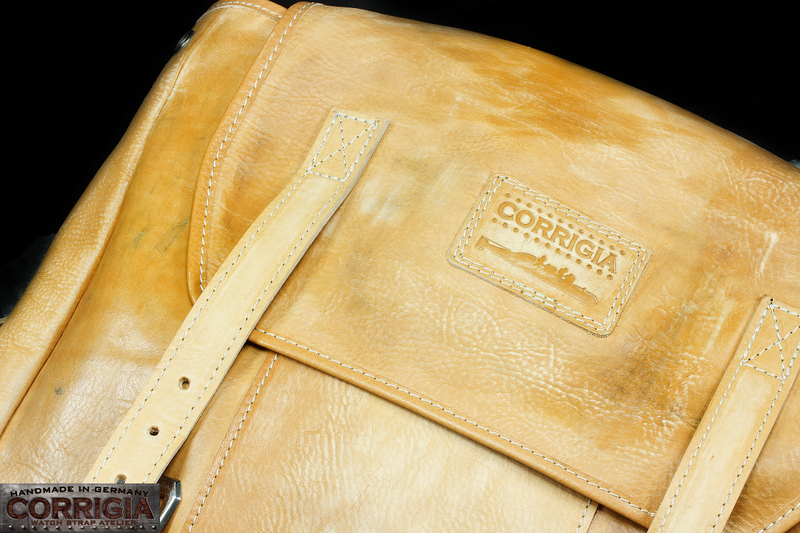 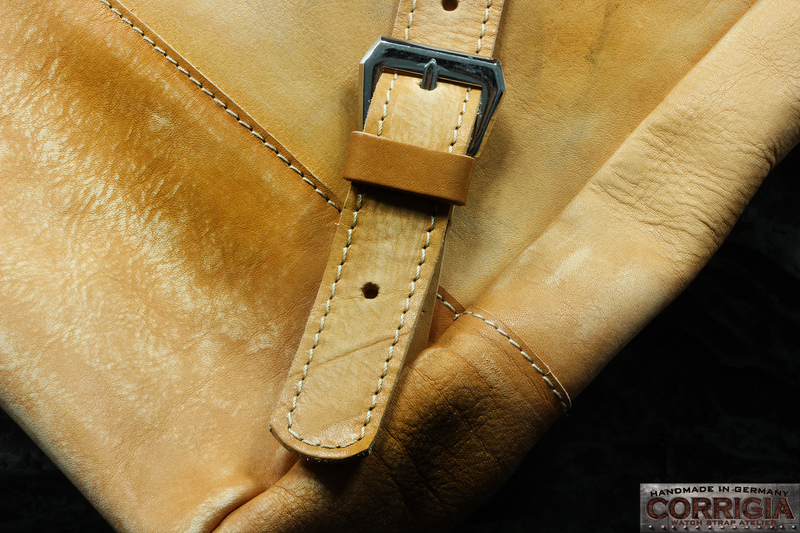 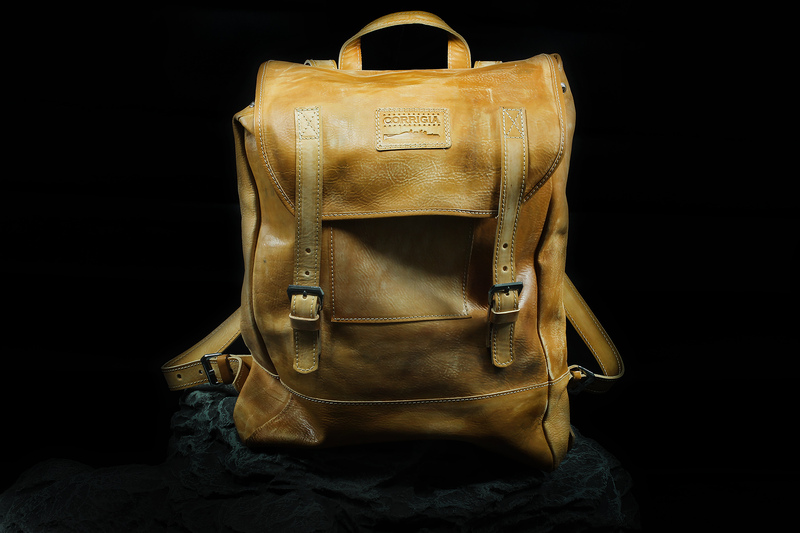 For the production we use a very rare and vegetaibiles cowhide with a natural surface structure . 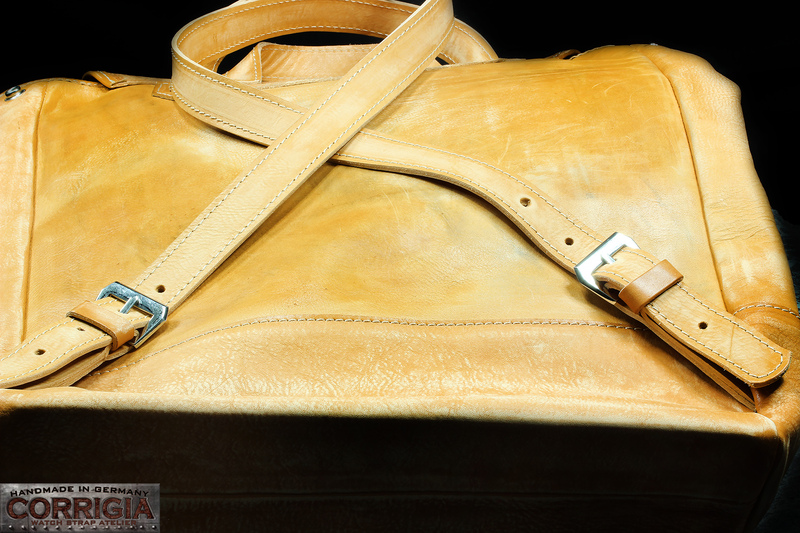 - With adjustable shoulder strap. 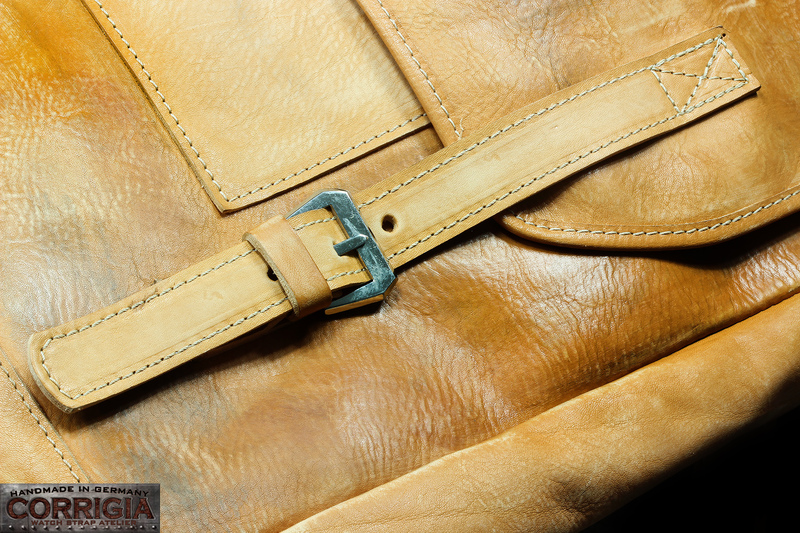 - Soft and high-quality cowhide (cow leather) from italy. 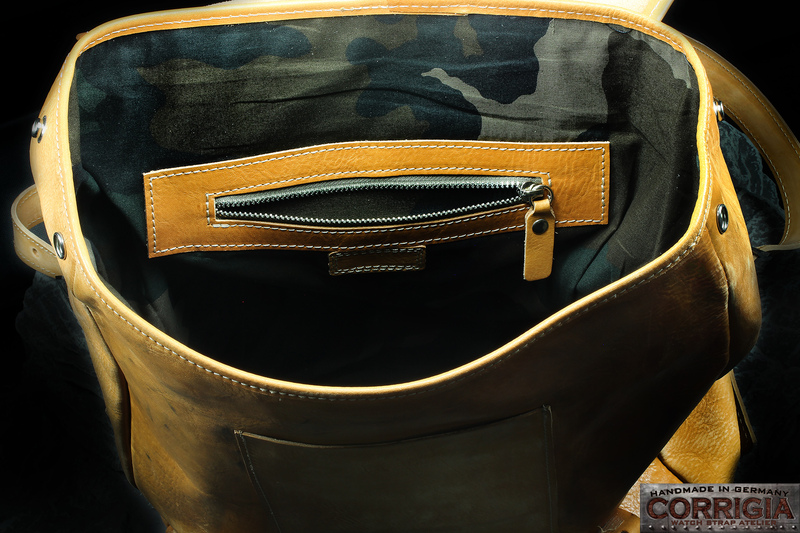 Related links to "C02 – Cartella Militare - Rucksack / Backpack"